We use various brewing salts and acids to alter the water and mash chemistry. This allows us to get that mash pH to the proper pH range of 5.2 to 5.4 (when measured at mash temperature) so that starches are efficiently converted to sugars. Brewing salts also play a fundamental part in creating the proper flavour profile of beer. Different beer styles will call for different salt additions. For our recommended targets based on the beer style, see our recipes and refer to our Water Adjustment guide. Chlorine (or chloramine) is added to most public water supplies to kill disease-causing bacteria that the water or its transport pipes might contain. If left in, both can give beer a band-aid or plastic taste so it's best we get rid of it. We do this by adding potassium metabisulphite to our water at the start of our brew day. Typical municipalities use up to 3 ppm of chlorine or chloramine in their water. Treat this water at a rate of 500mg of potassium metabisulphite per 20 gallons. We always start with 20 gallons of strike/sparge water in our Hot Liquor Tank and our municipality uses ~2 ppm of chloramine so a single 500mg dose is perfect for us. There's no harm in adding potassium metabisulphite if you're unsure if your city uses chlorine/chloramine. We prefer the powder form of potassium metabisulphite and use a jewelry scale with 0.01 gram resolution to measure out 500mg. Campden tablets which are approximately 500mg are also available which can be either sodium or potassium metabisulphite. If possible, we recommend limiting the use of sodium in beer so use the potassium metabisulphite version if you go with tablet form (though the amount of sodium is arguably so miniscule to not make any difference). We add this potassium metabisulphite directly to the Hot Liquor Tank after filling it with water at the start of the brew day. The chemical reaction is almost instantaneous, no waiting required. Potassium metabisulphite loses efficacy over time so do not stock up. Most manufacturers recommend keeping containers tightly sealed and storing in cool dry conditions at room temperature. Shelf life is typically 12 months from the date of manufacturing. Some brewers choose to use activated carbon based water filters to remove chlorine. Carbon based filters remove less chlorine as they become saturated, and the amount removed is directly related to the speed at which the water is passed through the filter making it difficult to know if the chlorine has been removed. This is why we use potassium metabisulphite instead. It's quick, dirt cheap, and works instantaneously. Activated carbon filters are also not overly effective at removing chloramine from water, requiring a more advanced reverse osmosis filtration system. Note: Brewers from years ago used to be able to simply leave water out overnight in their kettles to allow chlorine to evaporate, but today many municipalities have switched to using chloramine as it is more stable (doesn't break down or evaporate as easily). Leaving it out overnight will do next to nothing. 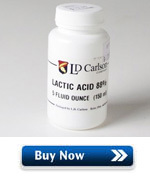 Lactic acid comes in various concentrations with 88% being the most popular for home brewing. It is used to acidify the sparge water to a pH of 6 or lower (when measured at mash temperature) which helps reduce the chance of extracting mouth-puckering tannins from the grain husks while we sparge slowly. We also use lactic acid to lower the mash pH when the various water adjustment salts we add do not take the pH low enough (and we do not want to add more salts for fear of affecting the flavour). Some people chose to use 10% phosphoric acid instead as they say it cannot be tasted as easily as lactic acid. This is not an issue as 88% lactic acid in the quantities we use (0.1-0.2 mL per gallon) simply cannot be tasted even in the lightest of beers. You need at least 10 times the amount before it becomes noticeable. Some also say that phosphoric acid will precipitate calcium out solution which could throw brewing salt additions out of whack (though likely only very miniscule/irrelevant amounts that will not affect the final beer). We choose to use 88% lactic acid. It works well for us. Feel free however to use whatever acid you like. Some other acids commonly used in brewing also include sulphuric and citric acids. Sometimes brewers do want to affect the taste of their beer using pH reducing acid. Lactic acid can be used in greater amounts to to sour certain beers for extra tartness such as Dry Irish Stout or Berliner Weisse. We use a 1mL (1 cc) syringe without a needle for dispensing the 88% lactic acid. The best part is that they only cost about 15 cents. We use a jewelry scale with 0.01 gram resolution to measure salt additions accurately. Most standard scales have at most a +/- 1 gram resolution, which is simply not accurate enough for our needs when measuring salt additions as an average 5 to 10 gallon home brew batch will usually only require a few grams of salts. 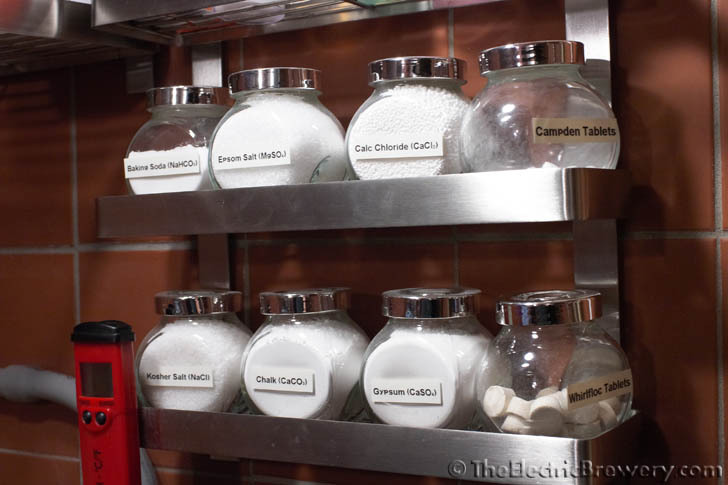 You could easily end up doubling the amount of salts required without knowing it. 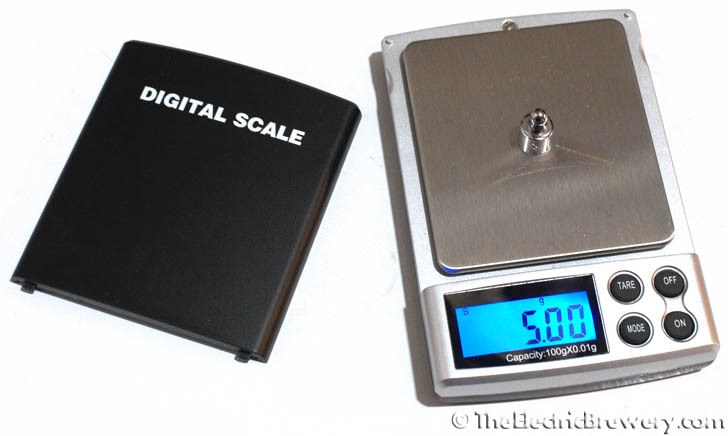 A jewelry scale that provides us with the 0.01 gram resolution we need, can only weigh up to about 100-500 grams maximum which is more than enough for our needs. (100 grams is about the weight of a standard sized deck of playing cards). A jewelry scale is also perfect for measuring out hops and dry yeast that we purchase in bulk. We use a much larger scale (10 lbs maximum) to measure grain. While our jewelry scale cannot be calibrated, we use a calibration weight kit (10mg to 50 grams) for ensuring that the scale remains accurate. 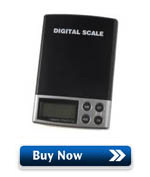 We've had our inexpensive scale for many years now and it's still perfectly accurate. 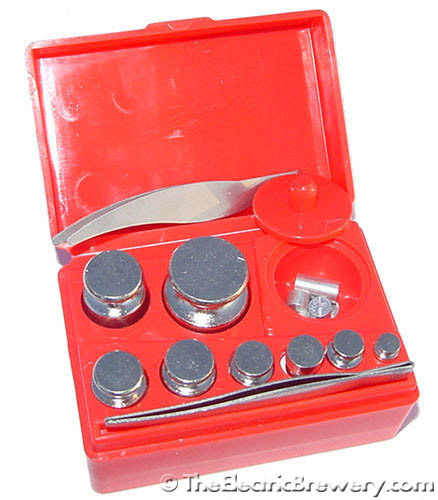 Small measuring spoons are useful for scooping the various water adjustment salts on to the jewelry scale, though just about any small spoon will do. We don't actually rely on the spoons themselves to measure our salt additions (that would not be very accurate). Gypsum / Calcium Sulphate (CaS04): Used to add permanent hardness (Calcium ions) to brewing water. Accentuates hop sharpness. Adjusts mash pH down. Calcium Chloride (CaCl2): Used in place of Gypsum when sulphates are not desired. Tends to make a beer fuller bodied, rounder and sweeter. Adjusts mash pH down. Pure Epsom Salt / Magnesium sulphate (MgS04), unscented: Adds sulphate and magnesium ions to brewing water. Adjusts mash pH down (very slightly). Chalk / Calcium Carbonate (CaC03): Useful for making dark beers with soft water. Using chalk (CaCO3) will raise the mash pH. Baking Soda (NaHC03): Adjusts mash pH up. Rarely used as a brewing salt (we have yet to use it). Non-Iodized salt, also known as: Pickling salt / Kosher salt / Cheese salt (NaCl): Can be used as a flavour enhancer. Rarely used as a brewing salt (we have yet to use it). The first three are the most widely used. Different beer styles will call for different salt additions. 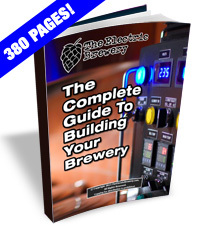 For our recommended targets based on the beer style, see our recipes. For instructions on how to adjust your water, refer to our Water Adjustment guide. What about 5.2 pH Stabilizer? 5.2 pH Stabilizer is a product sold by Five Star Chemicals that according to their website "is a proprietary blend of buffers that will lock in your mash and kettle water at a pH of 5.2 regardless of the starting pH of your water". The manufacturer states that one tablespoon per 5 gallons of finished beer is all that is required. At first glance it would seem like an easy way to always lock your mash in at a pH of 5.2 for perfect starch to sugar conversion. We tried this product with a simple blonde ale using our very soft city water which has a high pH of over 8 (when measured at room temperature) when untreated right out of the tap. This beer was made mostly with lighter coloured 2-row grain. There were no darker grains that would help lower the pH into the proper 5.2 pH range so we knew that some extra help would be required even after we added our usual brewing salts to alter the flavour profile the way we wanted. Many of the brewing salts we use lower pH, but often not enough. Even though our water's pH is very high it's very soft (has a low buffering capacity or residual alkalinity) so it doesn't take much to lower the pH. Normally if our mash pH is still higher than 5.2 (when measured at mash temperature) after we add our brewing salts and re-measure, we add a bit of 88% lactic acid to bring the pH down further. It usually only takes one milliliter (mL) or two at most. This seemed like a good test to try the 5.2 pH Stabilizer instead. We mixed in our grain with the strike water (called 'doughing in'), along with some salts, and let it sit for a few minutes. Our mash pH measured 5.59 (when measured at mash temperature). The grains and salts had dropped the pH of the water from over 8 all the way down to 5.59. Not bad, but still too high, as it should be around 5.2 to 5.3. So we added two tablespoons of 5.2 pH Stabilizer (the instructions say to use one tablespoon per 5 gallons of final product and we're making 10 gallons), stirred well for a few minutes and then measured again to find that it was now 5.55, or a drop of only 0.04. Hmmm, not very much of a drop at all. What happened to that claim of "locking in our mash pH at 5.2 regardless of the starting pH of our water"? So we added two more tablespoons and saw another small incremental drop in pH to 5.51. This is clearly not working as well as we had hoped. We stopped there as we did not want to add a total of ~20 tablespoons of this product to our beer to attempt to lower the pH to 5.2 as required. It's important to note as well that this product only addresses mash pH. We don't know exactly what "food-grade phosphates" are used (they don't tell) so we don't really know what it will do to the flavour profile of the beer. We've heard other brewers that swear by 5.2 pH Stabilizer. It may be that the product works as advertised, but only for water with a mineral profile and pH that falls within a specific range. What mineral profile and pH range? We don't know. The manufacturer doesn't specify. We recommend that brewers instead learn how to adjust their water using salts with known flavour outcomes and measure the pH themselves. This ensures that *you* the brewer remain in control of the mash pH and flavour profile and that you know exactly what you're drinking. If you don't want to manipulate your own water, then by all means use 5.2 pH Stabilizer, but we would suggest that it be used sparingly (no more than a tablespoon or two per 5 gallons, and only in the mash). Measuring the outcome with a pH meter would also be useful so that you have some idea of how much it's actually helping. "... 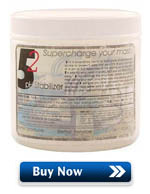 The 5.2 stabilizer is a blend of two salts. They are neutralized versions of phosphoric acid. They are monosodium phosphate (Na H2 PO4) and disodium phosphate (Na2HPO4) in the right ratio they will form a buffer that locks the pH at 5.2..."
We have no idea how either of these salts affect the flavour of beer so we still suggest that most people stay away and instead treat their water and mash using salts with known outcomes per our instructions. The common salts we use have been brewed with for many years (they exist naturally in water) and the outcomes are widely known.